This is my absolute favorite time of year, my mind has been trained over the years of attending school that the true beginning of the new year is in September when the sun is out and the air is brisk.... and most importantly, the fashion year has begun again. This is the time of year where fashion is the hottest, the trends are new and fresh, and everyone is gearing up for holiday season. I've just been enjoying Instagram and all forms of social media so so much these last few weeks, seeing everyones outfits for fashion week, all the new inspiration from the shows... Nothing beats this time of year. 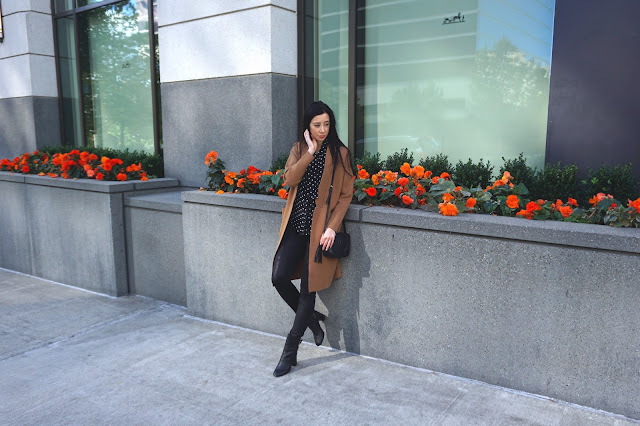 For my fall collaboration with DEZZAL, I wanted to choose classic fall pieces that I could reach for again and again around this time of year. I don't think a camel car coat will ever go out of style. 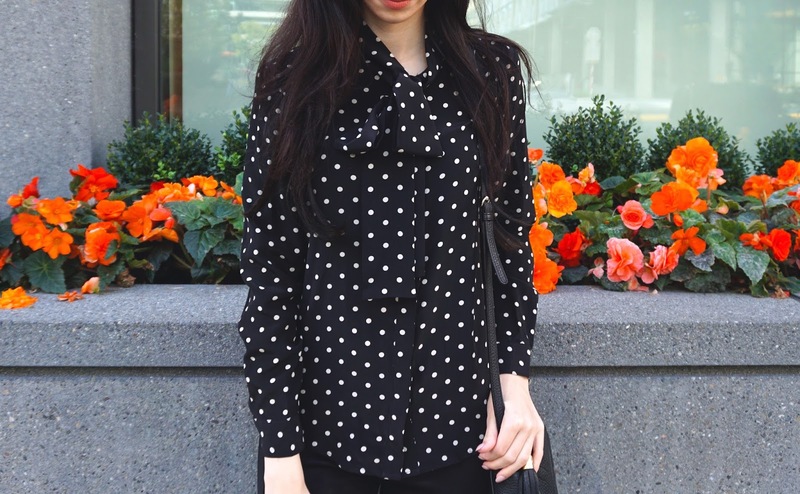 I decided to pair it with this ultra feminine bow blouse with dainty white polka dots. Since this is my first time shopping with Dezzal I didn't know what to expect. I was so happy when my package in the mail arrived so quickly and on time! But more importantly, I was really really impressed with the quality of both pieces. I ordered a size SMALL in the polka dot blouse, which fit me perfectly. It wasn't too flowy, but not too tight either. I also ordered the coat in the smallest size available, I definitely think the size guide was very accurate. I was so happy with how soft the fabric was on the blouse, and I love how it looked exactly the same in person as it did online. The coat is particularly what got me! 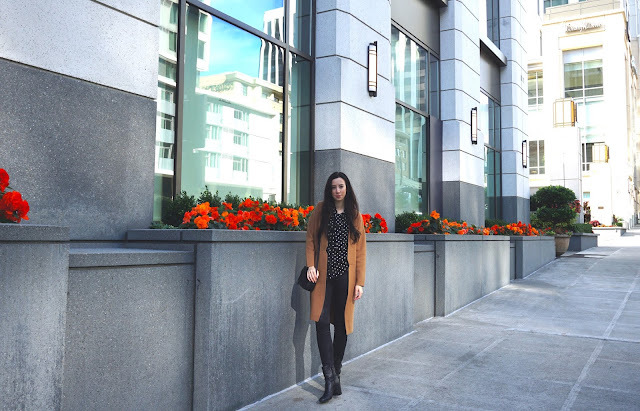 Almost every fall, I scour the internet for the perfect fall coat... and it just seems harder and harder to find quality pieces these days! I just think it's so important to pay attention to what each item is made of. So when I saw the fiber content of the Dezzal camel coat... I was really taken a back by how well it was made. The coat I ended up choosing is almost 4% cashmere and almost 50% wool, which makes it incredibly thick and luxurious. It hangs beautifully and keeps me extremely cozy on cooler days. I like how it stays open so you can get a peak of the outfit underneath. I just can't say enough good things about the customer service as well as the quality. Dezzal offers free shipping on orders over $59 dollars. If you want to get a closer look at DEZZAL go check them out on Facebook and Instagram! dezzal has great quality clothing! every time I get a package from them I am so happy with it. I really love the coat you got! the color is so pretty! Thank you! Yes, I was really really excited about the items and they were just as nice as I was hoping they would be! Love this look! The polka dots are so fun! You look gorgeous! Perfect coat! I think the coat is perfect! Great choice! Great look. I agree on the coat - always in style! Very nice style! I love the coat! That classic camel coat is a piece to add in my closet! Obsessed with your jacket! The color is amazing. The coat is gorgeous~ Love this very autumnal look! 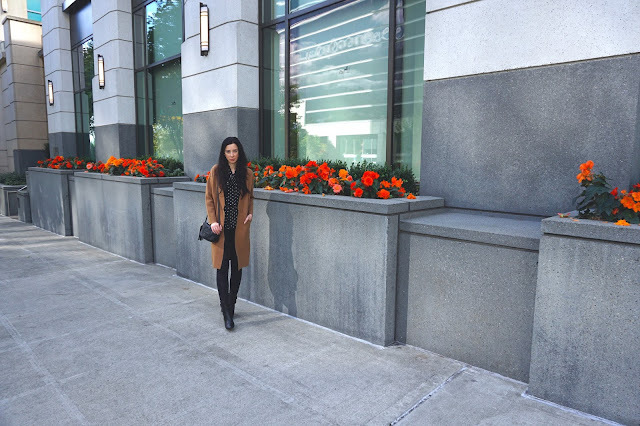 This look is gorgeous for fall. The perfect fall look. Love the coat! Wow, such beautiful pics, wonderful background, gorgeous outfits. I love your coat. You look absolutely stunning in this outfits. I love it when it starts to get cripser and theres a chill in the air, along with a new excitement for fashion again, it refreshing! Crispy fall weather just gets me pumped! 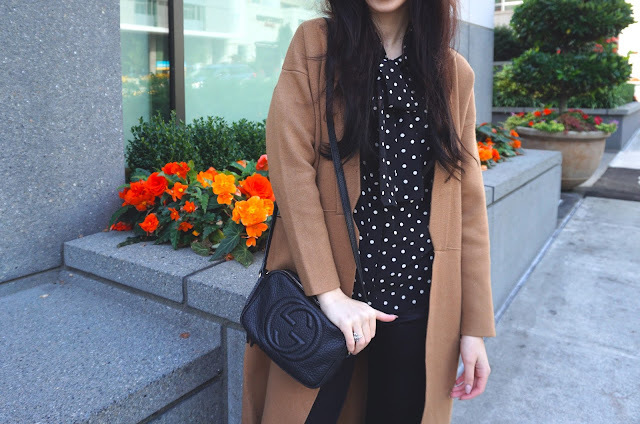 I love this outfit - from the polka dots to the camel coat :) Beautiful look! 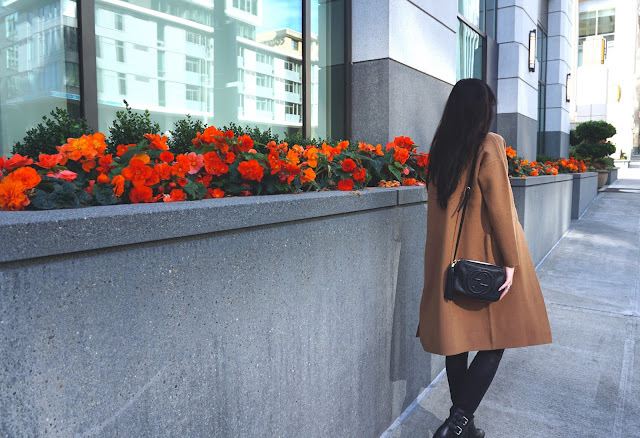 Love this look on you, the coat is perfect! I love love love this outfit so much! Such a great post! Beauty! 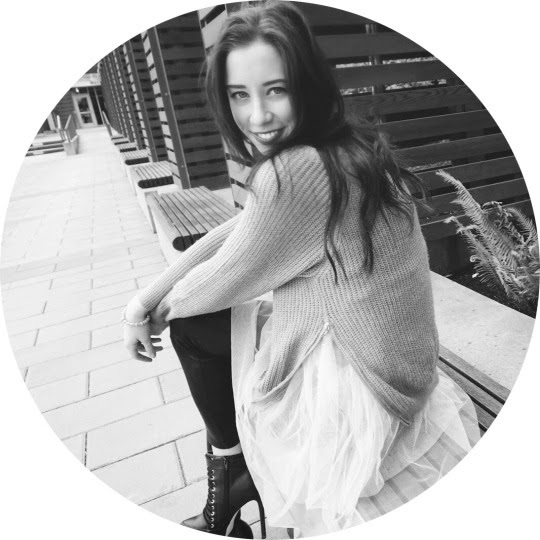 Love your blog ! Love this jacket! so pretty! Loving the polkadots and the coat! 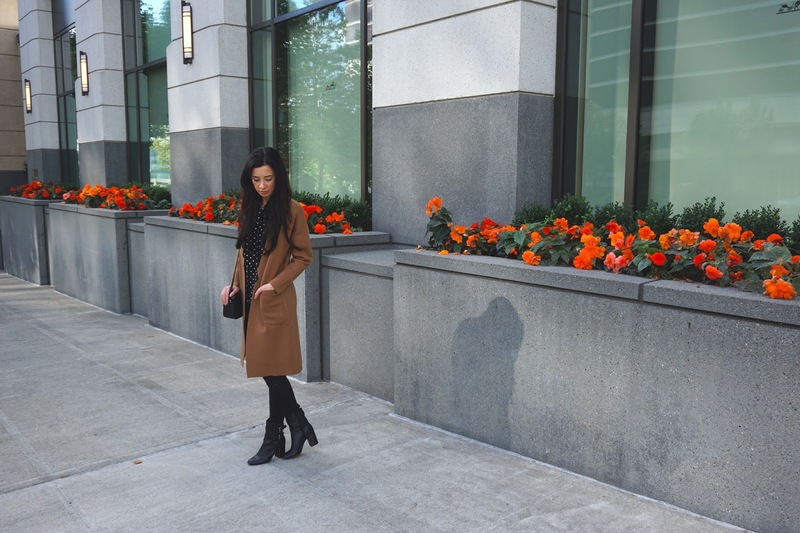 that camel coat is so classic for fall! Such a great coat - and I love the polka dots! I can totally see why you love that coat! It looks so stylish and the colour is proper unique! 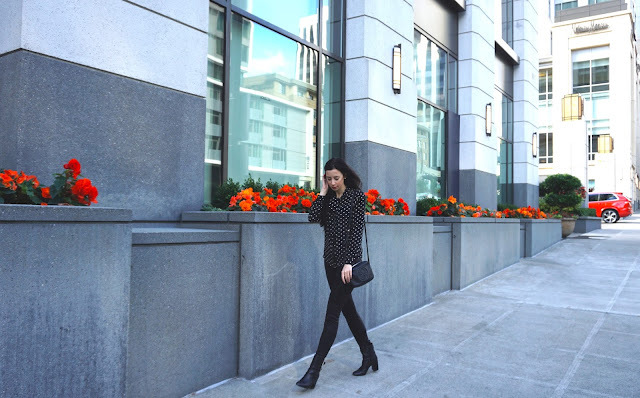 In love with your black leather booties! Love your outfit, it looks so effortlessly chic! What a beautiful look and photos Kristen! You look so gorgeous and effortlessly chic! This polka dot blouse of yours is amazing and so on trend! It was a great choice just like the rest of your outfit! Love your look! Amazing camel coat! I have heard so many great things about Dezzal and these pieces you selected are gorgeous! Will definitely have to check them out. Recently saw this brand and have wanted to try something out. Glad to see a post on this.